Songs for End of the Year Slideshows. It is hard to believe, but the end of the dance and school year is quickly approaching. The search for the perfect music to go along with pictures and videos from the past year, is on. Looking for songs for end of the year slideshows? Listed below are a variety of songs that will allow you to define the tone of your slideshow – upbeat and happy, slightly sad and reflective or a mix of both. Previous articleAre Dance Conventions Really Like This? I would also highly suggest “Time of Our Lives” by Tyrone Wells if you’re looking for something emotional. I used it for a soccer video and everyone wanted to know what the song was so they could use it for other projects. It’s available through itunes and Amazon.com for purchase. Thank you for your recommendation – what a beautiful song. I have added it to the list! Thanks again. I also would suggest Akon’s “One Day” to add on. Thank you Theresa! I will check it out. Thanks for all the great suggestions. I make a slide show for all my first grade parents at the end of the year. I end with “From This Moment”. Emotional but leaving first grade is…. You are welcome! Love that song and yes, my youngest is going into second grade – each year is a new journey! Thanks for stopping by. Great list! My favorite songs to put on my end of the year DVD include: My Wish by Rascal Flatts, Somewhere Over the Rainbow by Israel Kamakawiwo’ole or Jason Castro, I Wish Everyday Could Be Like Christmas by Bon Jovi, I Hope You Dance by Martina McBride, Let Them Be Little by Rascal Flatts, Walking On Sunshine by Katrina and the Waves, You’ve Got a Friend in Me by Randy Newman, It’s a Wonderful World by Louis Armstrong. Angie, thank you for stopping by and for sharing your favorites! 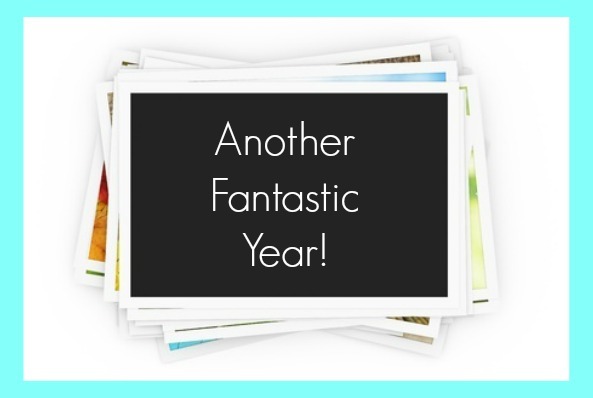 Thanks for sharing Barb – I have heard that song quite a bit for end of the year events! Two I used for our elementary slide show were We’re Going to Be Friends and My Own Two Hands by Jack Johnson from the Curious George soundtrack. They were great! Love both of those songs – and you can never go wrong with Jack Johnson! Thank you for stopping by! Your answer lifts the innelligetce of the debate. Great list!!!! One of my all time favorite songs even when I graduated a LONG time ago was “Friends” ( friends are friends forever) by Steven Curtis Chapman. Makes me cry and smile all at the same time! I know it’s old but it’s such a great song! Thanks Allison! I am not familiar with that song. I will definitely check it out! I really like the song “My Wish” by Rascal Flatts for end of year slideshows. That is a good one Laura! I reccomend “Good Riddance (Time of Your Life)” by Green Day, also the theme song from F.R.I.E.N.D.S would be a great one to use! Yes, Good Riddance is a good one. I will have to listen to the theme song from F.R.I.E.N.D.S – it has been a while since I have heard it. Thank you for your suggestions! Thank you Anne for your suggestions! I had not thought about Lean On Me – such a good song! I love the ideas, but aren’t there copyright problems if you use the songs in a DVD to give to parents at the end of the year? Thanks for stopping by. Copyright is a very important issue. If you are asking about copyright for school classrooms, consult the staff at your school for information on this. I have read a bit tonight and it appears music played in the classroom for educational purposes is exempt from copyright, but putting together a slideshow and distributing cd’s to the class would not be. Again, check with your schools administrators for details on this. I would imagine if you put a slideshow together for the end of the year and tied it in with an end of the year lesson, it could work. As for dance teachers, they purchase licenses so they may play music. There is a wonderful article detailing how this works at The Dance Buzz. Thank you! I imagine Home will become even more popular from all of the air play it has received on the Olympics. Such a great song. Love that song Jackie. There is also another song called Forever Young by Lisbeth Scott that is really sweet. I am adding the link above. Thank you for stopping by! Count On Me by Bruno Mars. Great SONG! That is a great song! I will definitely have to add it. Thanks for stopping by! Heavenly Day by Patty Griffin. She will change your life. Thank you for your suggestion! I will check it out. I also love Remember Me This Way by Jordan Hill. …also Count on Me by Cee Cee Wynans and Whitney Houston. what a wonderful song! thank you! Thanks for stopping by Bobbi! That is a great song. This is so great!! I have a few that I like, but our teck department says we can’t make copies for our parents without owner permission (copywrite laws). Do you make copies for parents? If you do how do you handle copywrite? I am not a teacher so I am not in the situation to distribute CDs to a class, but one year, my daughter’s teacher made an adorable slideshow for the class with music. The parents and children got to watch it at an end of year celebration. Each family received a cd with the pictures from the slideshow, but without music. It was still a great keepsake. She had captured so many wonderful moments that most parents don’t get to see. Hope this helps! and the song is available on iTunes if you love it, like I do! I just made one for my Girl Scout Troop last year and added “We Can Change the World” by Bridgit Mendler from Disney’s Friends for Change. Last year, I heard a senior sing “You’re Gonna Miss This” by Trace Adkins at our final show choir concert, and I almost cried. Also, “Seasons of Love” from Rent is a song we use every year to say goodbye to the seniors. Do you know of any songs in Spanish that would be appropriate for a kindergarten program slide show? Thank you for stopping by Kathy. Looking forward to checking out that song. That is a new one to me. Thank you for sharing. It makes me smile, tear up, and smile again. Do you use all those songs? I am trying to decide how long our slide show should be. Definitely “We are going to be friends” by Jack Johnson (PERFECT for elementary kids)! Also, “Somewhere over the rainbow”! I love Reach for the Stars by S club 7. Cheesy but apt! Thank you Brandy! I will check them out. “Happy” by Pharrell . Fun and “happy” song. How about These are the Days by Natalie Merchant? great list! Many that I hadn’t thought of and I’m working on my fourth slideshow now. Another favorite of mine to use is I’m Not Gonna Cry by Corey Smith. I teach preschool and have used “When You Wish Upon a Star”, Zippy-Dee-Do-Dah”, “Sing” (the Carpenters), I’d Like to Teach the World to Sing”, in addition to some of the ones others have mentioned. I love “My Wish” by Rascal Flatts but it was a little too country for a slideshow I was doing for my niece. I used the version from the Katinas which is great as well! The song When I Grow Up from Matilda the musical is such a cute song that I put in my preschool graduation video! Grade A stuff. I’m unuesqtionably in your debt. How do you handle copyright laws? Do you pass the slideshows out to the students or do you use them for just classroom use? I haven’t done one before but I wanted the kids to have it too because I’m not going to be able to do a book like I usually do. Just wondering. Thanks!